Nicholas Collins is a mighty force to be reckoned with. He is a fantastic singer-songwriter and self-taught musician. He also is a freelance author and art critic. More will be coming soon from Nicholas. 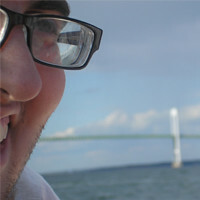 From the beginning, he has been working alongside Chris Collins in creating the Nonsense Society website. Currently, Nicholas is writing reviews of Nonsense Society artists. These Reviews are called “Top Hats and Knives.” When Chris Collins told Nick that he wanted to name the website the Nonsense Society, he couldn’t get the image of people wearing top hats and holding knives out of his head. From that day forward he insisted that top hats and knives somehow be associated with the Nonsense Society. You can expect some fictional stories coming soon and also some recordings of his music. Episode I – Ace Gordon is Dead! Episode II – Dead As A Doornail!